Spring arrives on Friday, but it will be several more months before our temperatures warm up. Until then, I'll still be wearing layers. Colorful trench coats are popular this year, and while mine is a little short to be a classic trench, I love the melon shade and the single breasted style. As far as I'm concerned, the brighter the better for spring. And a hood would be very helpful. In other news, I recently bought this leather bracelet from Keep Collective as a very early birthday present to myself, and I wanted to share it because I love it SO much. It reverses to brown, and the "keys" can be changed around. Super comfortable and fun. 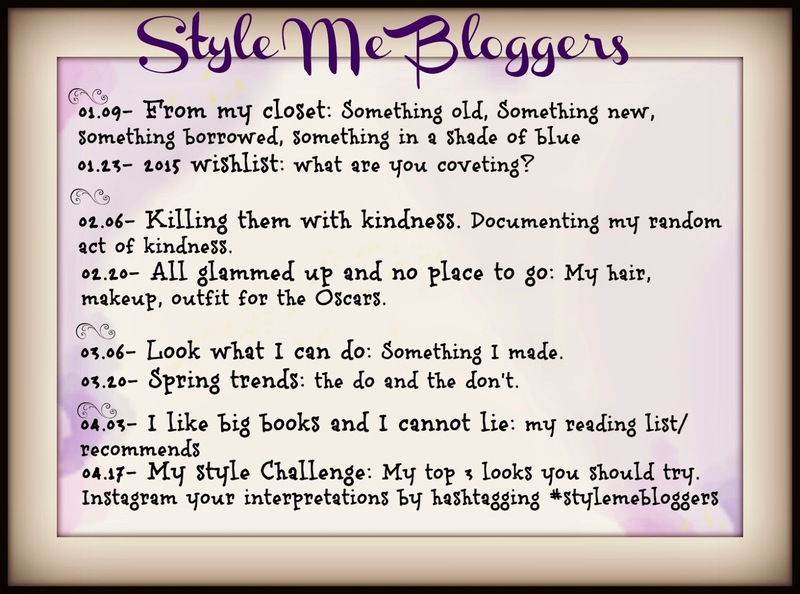 Be sure to come back on Friday when the Style Me Bloggers will be linking up our do's and don't for this year's spring trends. Should be a fun one! I would love to get a bright trench for spring! The melon color looks great on you! Your bracelet is fun! I'm going to check out that site! Thanks Jill. There are so many cute options on the Keep Collective site. The trench coat looks so good on you, Lana! Especially with your gorgeous blonde hair! Enjoy your Wednesday! Thank you Susan. I'm really happy with the bracelet. Such a lovely colour on you! It'll banish the dreariest of the dreariest wet, dark days of the "wet" coast the second you put it on. That's what I'm hoping, anyway! I love the jacket, but I REALLY love the bracelet!!! We've had 80's here all week, but today it got colder and suppose to rain the next few days. Come on Spring! Spring keeps teasing us, doesn't it? Yes a hooded coat is always a must - I never have an umbrella - the color is pretty, I love the cropped jeans too - are you able to wear those now - I am still wearing Uggs and long jeans still too cold. Bracelet is adorable - have a wonderful week. I never carry an umbrella either, so I definitely appreciate a hood. Our temperatures have been in the 60's most days - unusual for us this time of year! I love it! I wish I needed one of those! Haha - I imagine you don't have much use for coats! That bright trench coat is lovely and perfect for Spring. And I will be linking up tomorrow. Thanks Ada. So glad you'll be linking up with us! Such a pretty spring trench coat, love the bright colour! I need a brightly colored trench coat! Love yours! I have one in a camel color, so I guess I'll brighten it with accessories. 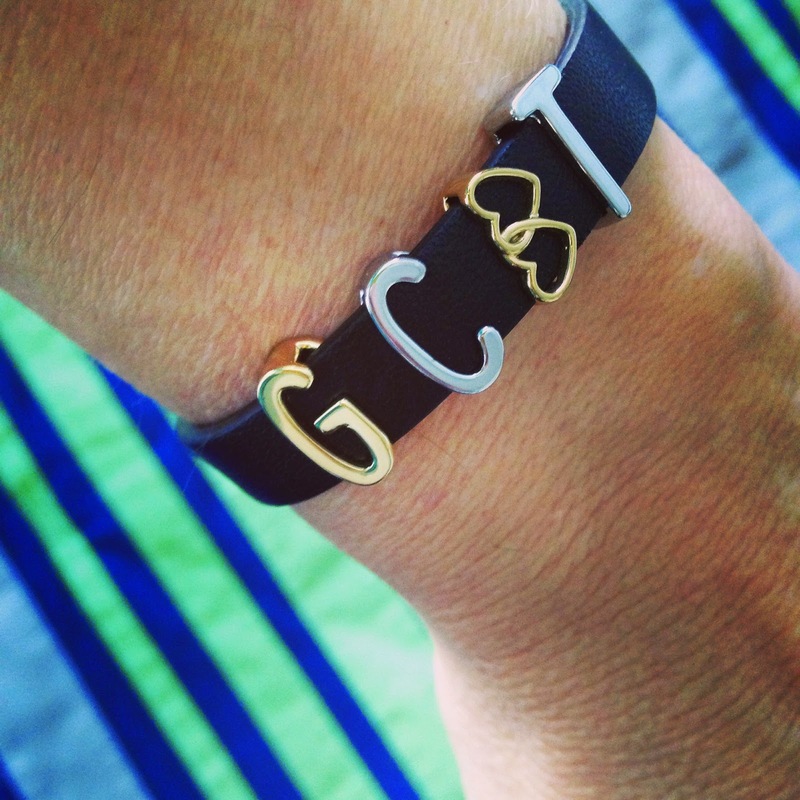 I really like personalized jewelry, what a wonderful bday gift to yourself! Thanks Carrie. I'm so happy with the bracelet. I have a khaki trench coat too, but I love the color of this one. I love spring colors and spring jackets. And Lana - it's supposed to snow tomorrow for our first day of spring. Say it isn't so! I'm so happy about spring colors right now. No, not more snow?!!! I will do a "no snow" dance for you! Lana, this color trench is sooo pretty and perfect for spring! I like the shorter length. Also, your jeans fit you fabulously! Thank you! I like the shorter length too - if it had a hood it would be perfect! Pretty jacket for spring ... very cute and still practical pieces for your slowly warming days. And that color has your name all over it ... you should copyright it's use! I took a jacket with me yesterday when we went to town, but ended up in sleeveless-sandal-wearing contentement. A bit cooler today, and it's just keeping me realistic! Spring will take a long time to really get going here - it's more like June before we feel any real warmth! I love the color too.